Bilingual Tour Guide (English and Spanish) at Archaeological Park. Minimum of 2 passengers (adults) is required for the tour to run. If the minimum size is not reached, the tour is subject to cancellation and all tickets are refunded or rescheduled. Copán is an archaeological site of the Maya civilization located in the Copán Department of western Honduras, not far from the border with Guatemala. It was the capital city of a major Classic period kingdom from the 5th to 9th centuries AD. The city was located in the extreme southeast of the Mesoamerican cultural region, on the frontier with the Isthmo-Colombian cultural region, and was almost surrounded by non-Maya peoples. In this fertile valley now lies a city of about 3000, a small airport, and a winding road. 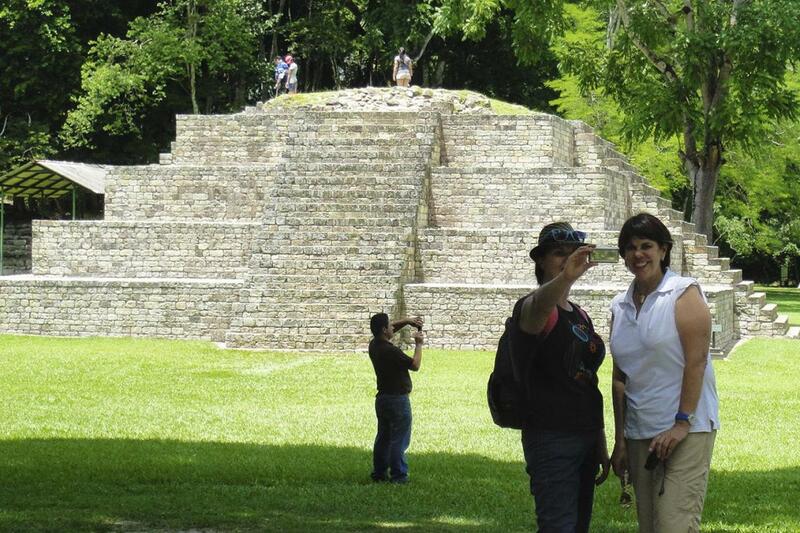 Enjoy a unique tour through Copan, this archaeological site has a special connection with Quirigua and covers the most impressive dynasty of the Mayan world the dynasty Yax Kuk Mo.